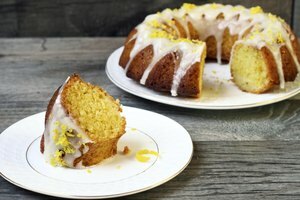 After baking a pound cake in the oven, there may be a struggle to remove the cake from the pan, even if you've buttered and floured the pan before baking. Most people want to get the pound cake out of the pan without breaking it or ruining its form. 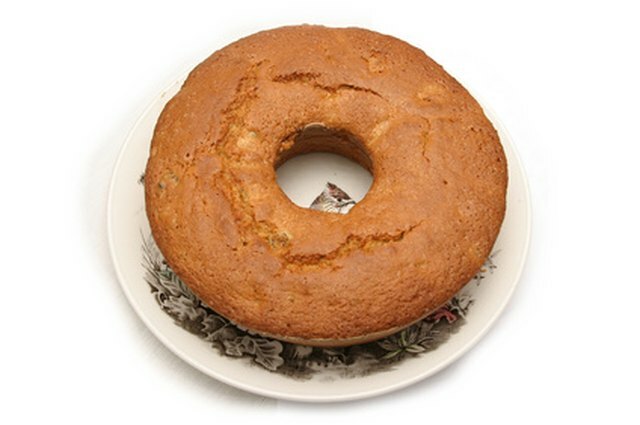 You can remove a pound cake from its baking pan, cleanly and easily, no matter what kind of pan you use. Stick a toothpick halfway into the pound cake. If it comes out clean, your cake is fully cooked. Allow the pound cake to cool for 15 to 20 minutes. Gently turn the pan over so that the cake's surface is lying on a clean countertop or cutting board. Your cake will have risen in the oven, so lightly place it onto the countertop or cutting board. Use one hand to grip and slightly lift the left edge of the pan 1 inch off the countertop or board. 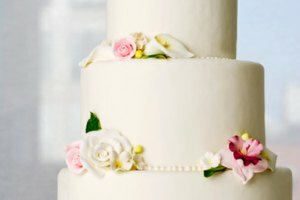 With your other hand holding the blade of the butter knife, softly tap the left side of the pan's bottom with the handle until the cake slips out. This could take 10 to 15 soft taps. Repeat Step 4 with the right side of the pan. Gently and slowly wiggle the pan up and away from the cake and set aside. If you use butter or shortening and flour to thoroughly grease your pan before baking, the pound cake will come out of the pan more easily. Do not shake the pan upside down to remove the cake from its pan. If your cake is not fully cooked, it will be more difficult to remove from the pan. 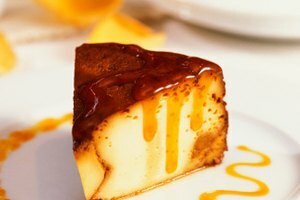 You should not consume a cake that is not fully cooked.